In some cases the laptop fails to boot and it ends up going to a computer repair shop. For minor damage the computer repair shop might recover your data. But there is a good reason to avoid this scenario. 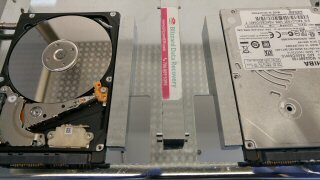 If the heads have been damaged the HDD might still function enough for the tech to read some files, but it could be killing the platter surface(s). If the heads have failed completely the tech will most likely give up and refer the case to a professional data recovery service. In some cases the heads will still read but it could take a very long time just to read a single file. In these cases it’s quite possible that the drive will eventually fail and then some, or all, of the data could be lost forever. The reason the second scenario is so bad is because the head suspension system is often bent in a way that the heads are no longer riding on an air bearing (air gap). In this case the heads/sliders are actually dragging the surface and removing the platter coating, eventually eating their way to the magnetic media and literally wiping the data away. 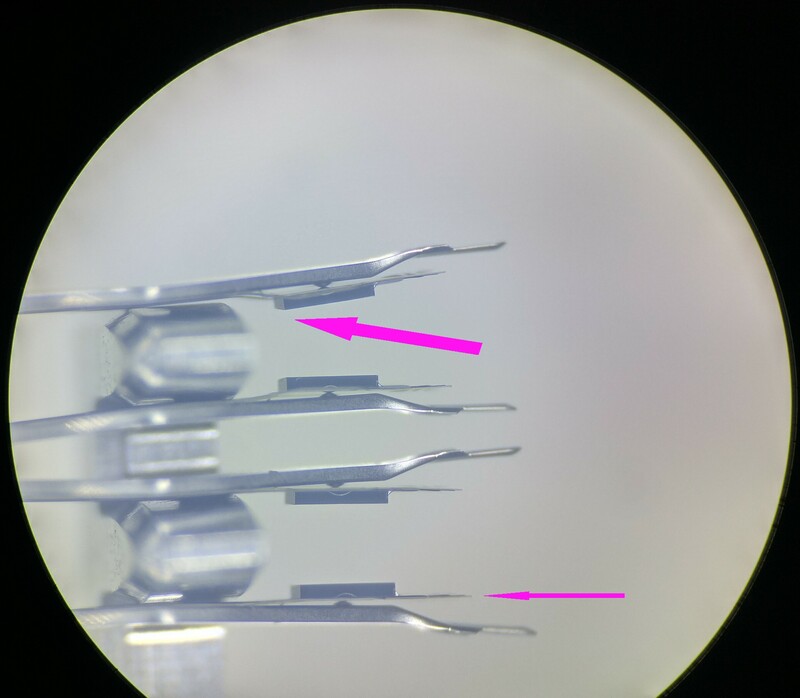 In this photo (click to enlarge) you can see the bent suspension system on this head stack assembly from a Toshiba MQ02ABF100 1TB laptop hard drive. The top two heads are bent in a way that will most likely cause the slider to drag the platter surface while reading. In the enlarged photo you can see the straight line suspension system on the bottom 2 heads and the bent suspension for the top 2. The very top head has the most visible bend. This is a perfect example where the drive can still read some data but could destroy the chances of a good quality recovery. For hard drives that have suffered any type of impact it is important to inspect the head assembly under a microscope before proceeding with the recovery. 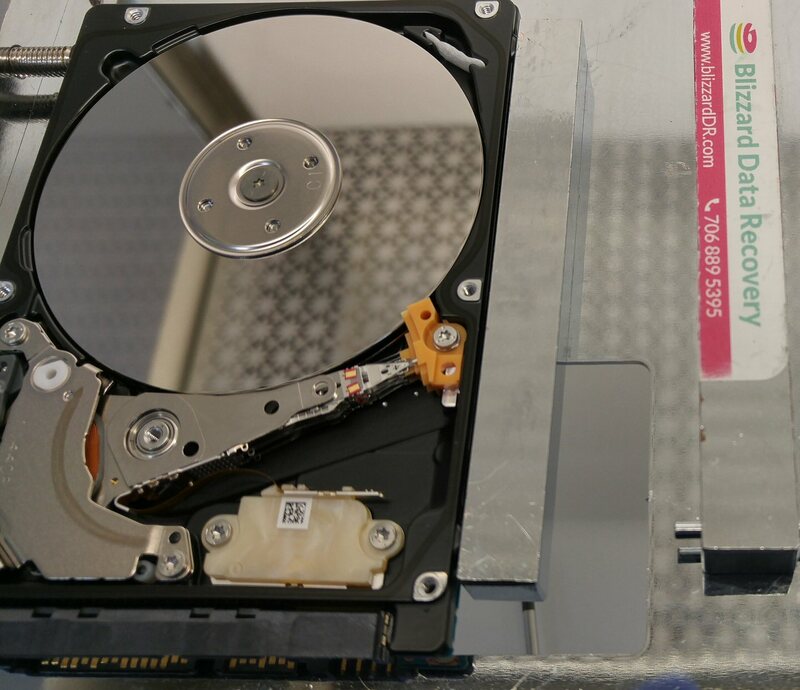 Even when a data recovery lab is not notified of the fall or impact, an experienced technician would know almost immediately if the heads need to be inspected. How much does hard drive recovery cost?